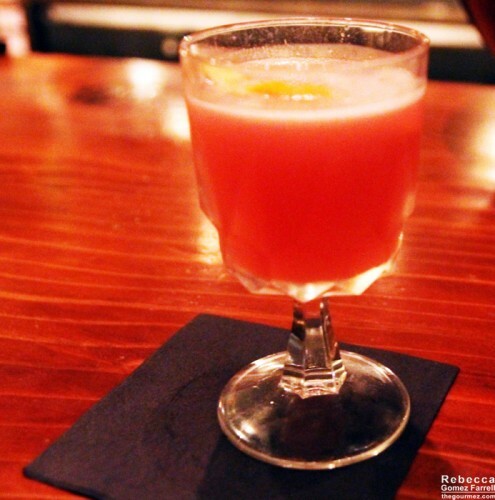 After a fun night out at Kuleto’s last November, our friends introduced us to one of their favorite drink spots, just a few blocks away. See that fruit bowl of citrus on the counter? It was one of many, and the smell of them permeated the room. There is no question that the Cantina uses freshly squeezed citrus in nearly all their drinks—you can taste it in the air. I could not get over how divine it smelled. 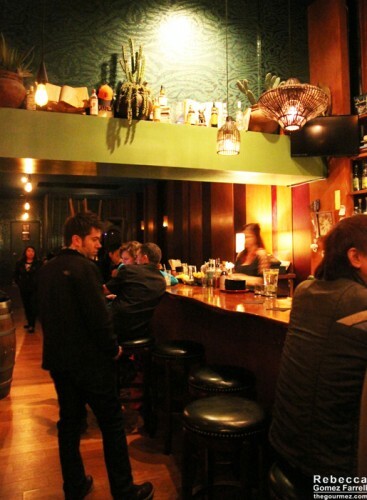 I also loved the bright, understated, tiki-bar vibe of the place. We were there early for the bar crowd, around 8:30 pm. It was filling up by the time we left about an hour later. During that time, I imbibed on two different cocktails. The first was my favorite. Excuse the blurry pics—it’s hard adjusting focus in dim lighting! 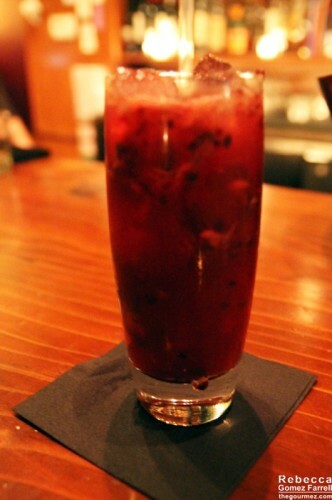 That drink is the blackberry and cabernet caipirinha made with Cabana cachaça, muddled limes, Driscoll Farm blackberries, and Carlos Basso cabernet. I’ve loved nearly all caipirinhas I’ve met, and this one is near the top of the list. To be fair, it was nearer to sangria with the addition of the cabernet, but it was delicious regardless. With all the ripe blackberry juice, it had no choice but to shine. 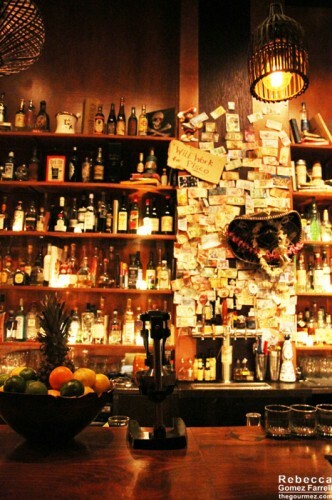 The second was the Cantina’s house pisco punch, made with pisco, crushed pineapple, that fresh-squeezed citrus, angostura bitters, and the bar’s secret sauce. It is an elegant drink I can definitely recommend, though the pisco’s presence might be stronger than expected for someone imagining a fruit punch. The citrus shone, and I honestly have no clue as to what their secret sauce might contain. That cocktail only comes second to the caiprinha because competing with fresh blackberry juice is an inherently unfair match up. 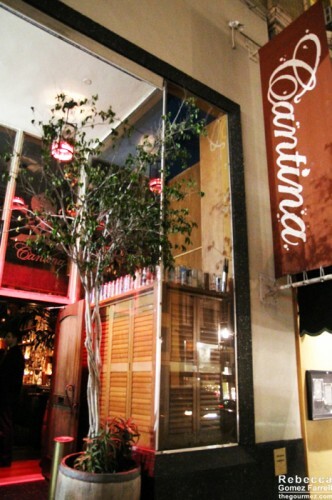 The Cantina is worth going to just to revel in its divine citrus scent. With drinks that deliver on that promise, it’s bound to become one of my favorites.